Do you remember when you were learning to read and it was both difficult and exciting to mouth the next word? Then there’s the thrill of recognition. 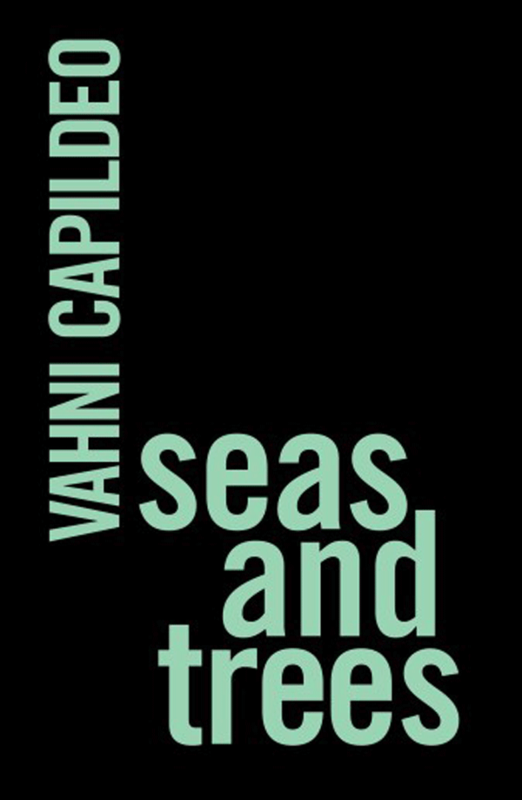 The simple rhyming title of Vahni Capildeo’s chapbook seas and trees – presented in lowercase sans serif typeface – may take the reader back to those days. That trees had evolved to eat other trees. That this happened at the end of a garden. That this was first noticed in a small tree’s wincing. Capildeo depicts the creaturely behaviour of Framboyán trees in her childhood garden in Trinidad, as they are “whipped by no wind” and one of them is “bunched to a beak”. As the poem progresses, the effect is neither childlike nor menacing, neither uncanny nor surreal – it is eidetic, vividly experienced. This is one of the admirable aspects of Capildeo’s poetry; it brings convincing, vibrant interpretations of the nature of things. as if not meant for more than shredding. 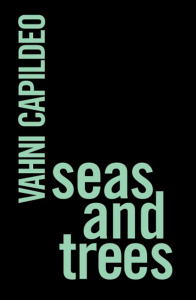 Despite the simple language of the collection title, Capildeo makes the titles of some poems work hard. Examples include “For Adjectives are one Road Cut into the Precipice Bordering Perfection”; “Opalescent, Crystalline, Amethyst. And Dark”; “After a Hymn to Aphrodite/ 1. That Voice Revises Several Languages”. Other titles are more colloquial – “Completely F****d”, although, unexpectedly, this poem is inspired by the literary source of Montague Summers’s Translation of the Malleus Maleficarum, a fifteenth century witch-hunting handbook. Throughout the chapbook, Capildeo’s recurrent themes of identity, heredity and existence are explored from unusual perspectives. do not leave believing bereavement, who can stay?